Our Professional Indemnity (PI) insurance is designed to protect you from claims that arise from the advice or designs you provide. Claims can be related to issues such as negligent error, negligent omission, unintentional breach of contract, unintentional breach of the Fair Trading Act 1986, defamation, libel, slander, dishonesty and the infringement of intellectual property rights. With GSI Direct, New Zealanders can access cover direct from the world’s leading specialist insurance market – Lloyd’s of London. Our products are designed for New Zealand businesses and cover is arranged by the GSI Direct team, based in Auckland. All claims are made via our local customer care team. If you need to get in touch you’ll be dealing with people who understand your issues and make it a priority to deal with them. Get a quote on your premium in 30 seconds. Complete the application and buy online – no forms to fill in and sign. 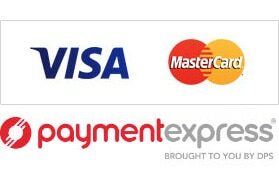 Pay via credit card online / or by bank transfer. Get your documentation straight away via email.